CMC has over 40 years of experience responding to EPA Superfund remediation sites, oil and other hazardous waste spills, truck and railroad tanker accidents, natural disasters, and landfill and industrial facility fires. CMC has served as a prime contractor to EPA Region 4 since 1997, and has served as a team subcontractor in EPA Regions 2, 3 and 5. CMC also performs work for a variety of other federal, state and local government agencies, as well as private clients. We have experience dealing with a variety of contaminants, including lead, arsenic, creosote, mercury, oil, asbestos, radioactive waste, among others. CMC maintains one of the industry’s largest fleets of company owned heavy equipment, much of it specialized for remediation and emergency response efforts. This allows us to quickly respond in meeting a variety of needs. 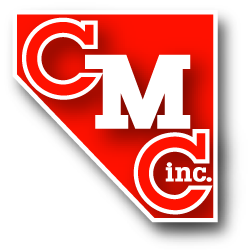 CMC’s staff includes some of the industry’s most capable project managers, who are supported by skilled foremen, technicians, equipment operators, mechanics, truck drivers, and laborers.